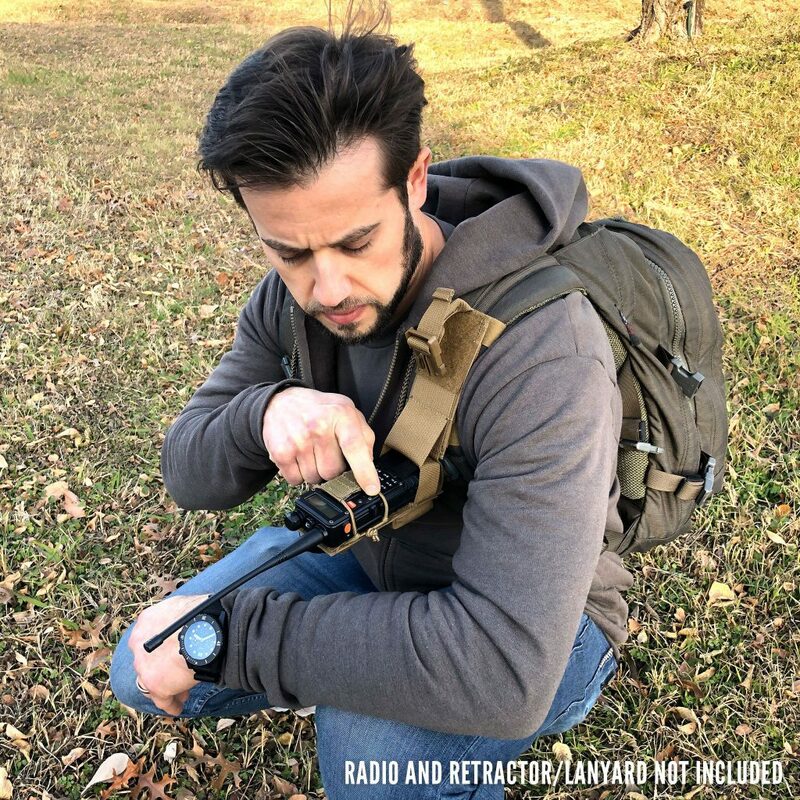 The ITS Tactical 10-4 Radio Pouch™ is lightweight and skeletonized, offering rapid acquisition, the ultimate in retention and multiple mounting methods for Baofeng UV-5R style radios (transceivers) with extended batteries. 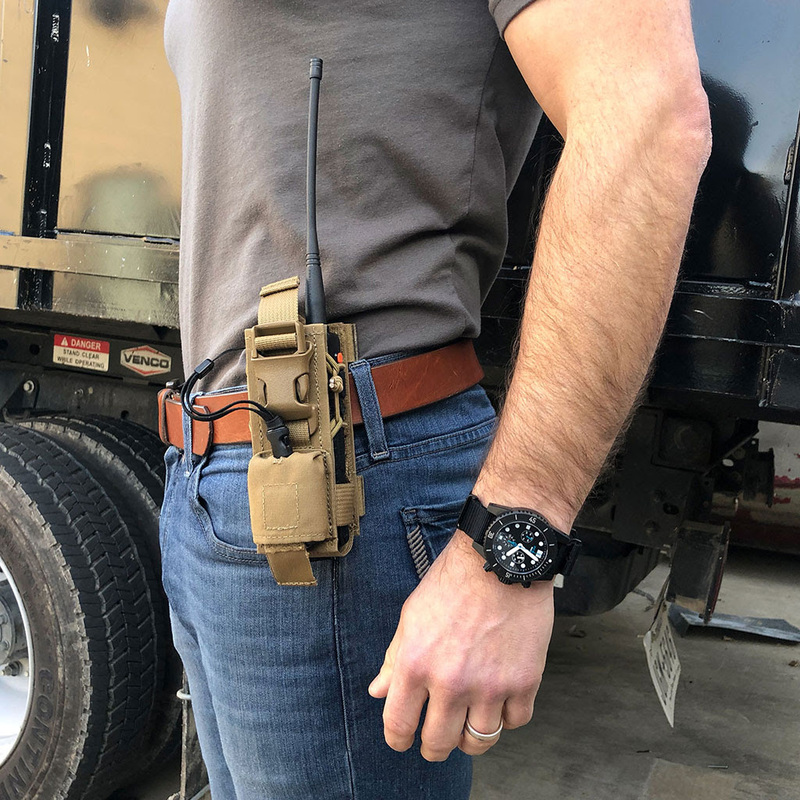 The patent-pending 4-Way Mounting System™ allows you to mount the 10-4 Radio Pouch™ vertically on a duty belt, vertically to MOLLE (PALS webbing), horizontally on a belt or even vertically on a backpack or chest rig strap. The mounting possibilities for this pouch are truly unlimited. This revolutionary pouch features four built-in levels of retention, first using the interior opening webbing base to align the radio into place. Next, the adjustable shock cord locks in the radio, while still allowing easy insertion and removal. Additionally, the integrated hook strip facilitates faster operational access and stowage, providing temporary on-the-go retention. Lastly, the durable slide release buckle provides the final retention strap for ultimate security. For further information, visit ITS Tactical’s website.